Excitement surrounding Windows 10 is ready to reach fever pitch after one PC manufacturer let slip that the new OS will be out at the end of July. AMD let the cat out the bag after it revealed to analysts and investors on a conference call that the OS, which Microsoft and PC manufacturers are pinning their hopes on, will arrive at the end of July. "What we also are factoring in is, with the Windows 10 launch at the end of July, we are watching the impact of that on the back-to-school season, and expect that it might have a bit of a delay to the normal back-to-school season inventory buildup," said Lisa Su, chief executive officer of AMD, in the company's quarterly conference call, according to Kit Guru. It's not the biggest surprise considering Microsoft already gave a summer release date for the OS and Su didn't clarify whether the date was for the release to manufacturing for PC makers or general availability. 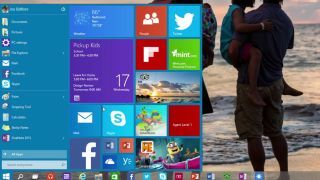 Windows 10 will come as a free upgrade to Windows 7 and Windows 8.1 users for the first year and Microsoft will use those those opening 12 months to gauge its future strategy for the revolutionary new OS.